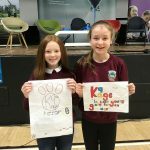 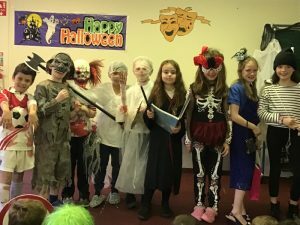 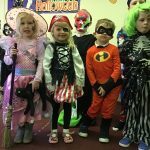 The pupils of Kiltiernan gathered in the halla for an assembly in October and the principal told everyone that there would be a Halloween dress up competition on the last day of school before the holidays! 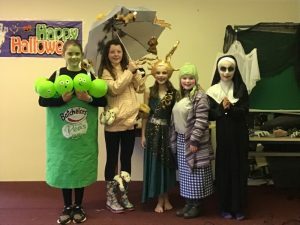 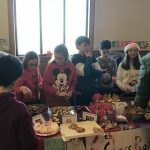 Sadhbh, Katie, Gabriel and Róise were some of the winners. 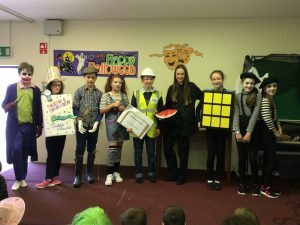 My favourite costumes were the bookworm, the Rubik’s cube (Eimear), the fairy pirate (Róise) and last but definitely not least, ‘it’s raining cats and dogs’ (Erin, 5th Class). 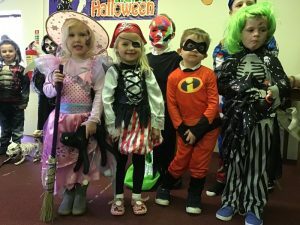 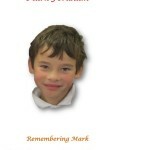 Every year the children dress up in their costume feeling proud on stage with their class and as a pupil, I can safely say this is the highlight of our Halloween.